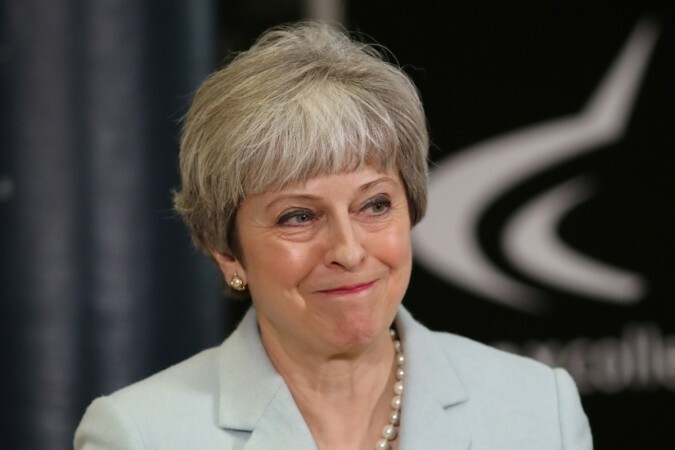 May's government was found in contempt of parliament and then a group of her own Conservative Party MPs won a challenge to hand more power to the House of Commons if her deal is voted down. Prime Minister Theresa May suffered embarrassing defeats on Tuesday at the start of five days of debate over her plans to leave the European Union that could determine the future of Brexit and the fate of her government. May wants to secure parliament's approval for her deal to keep close ties with the EU after leaving in March, but opposition is fierce, with Brexit supporters and opponents alike wanting to thwart or derail her plan. The debates and final vote on Dec. 11 will determine how, and possibly even if, Britain leaves the EU as planned on March 29, in the country's biggest shift in foreign and trade policy in more than 40 years. May's plans are vulnerable to more change at the end of the debate, and advice from a senior EU legal aide that Britain had the right to withdraw its Brexit notice opened yet another front in her battle to win the approval of parliament. May told parliament: "We need to deliver a Brexit that respects the decision of the British people. "This argument has gone on long enough. It is corrosive to our politics and life depends on compromise." "We still don't know what our long term relationship with Europe would look like and that's why so many MPs across parliament are not willing to vote for this blindfold Brexit and take a leap in the dark about Britain's future," Labour leader Jeremy Corbyn told parliament. Anxious to prevent a "no-deal" Brexit, a group of mainly pro-EU MPs from May's Conservative Party won a vote to make sure parliament gets more power to dictate any next steps the government takes if her exit plan fails. For them, there may be another way out. The formal advice from a European Court of Justice advocate general - not binding but usually heeded by the court - suggested to some lawmakers that revoking the "Article 50" divorce notice was an option. "It's a false choice to say it's the PM's deal or chaos," said Conservative lawmaker Sam Gyimah, who quit as a minister on Friday over May's deal. "We should look at all the options and not be boxed in by our own red lines." But May's spokesman told reporters: "It does nothing in any event to change the clear position of the government that Article 50 is not going to be revoked." If she loses, May could call for a second vote on the deal. But defeat would increase the chances of a "no-deal" exit, which could mean chaos for Britain's economy and businesses, and put May under fierce pressure to resign. Leading Brexit advocate Boris Johnson said the deal was a national humiliation and made a mockery of the public's vote to leave the EU. May's nominal allies in the Northern Irish DUP have also said they will vote against her deal. But on Tuesday DUP deputy leader Nigel Dodds said, despite voting against the government on the contempt issue, his party's agreement to support May's minority government remained in place. "We haven't broken that," he told Sky News.